While the market has been increasingly focused on the rising headwinds in the global economy in general, and China's economic slowdown in particular, while the media is obsessing over daily revelations that Trump may or may not have colluded with Russia to get elected, a far more critical, if underreported, shift has been taking place over the past year. And now, the final missing piece of Russia's massive capital reallocation out of the petrodollars has emerged, after the Telegraph reported that Moscow is preparing an investment in Bitcoin in a bid to tackle US sanctions, according to a Russian economist with close ties to the Kremlin. Quoted by The Telegraph, Ginko said he believes Russia’s de-dollarization decision is fundamentally a move to "protect its national interests" due to a possible interruption of “US nominated payments flows for Russian oil and gas” and claims that the investment in bitcoin could be as much as $10bn (£7.8bn); a material enough amount to send the price of bitcoin sharply higher. 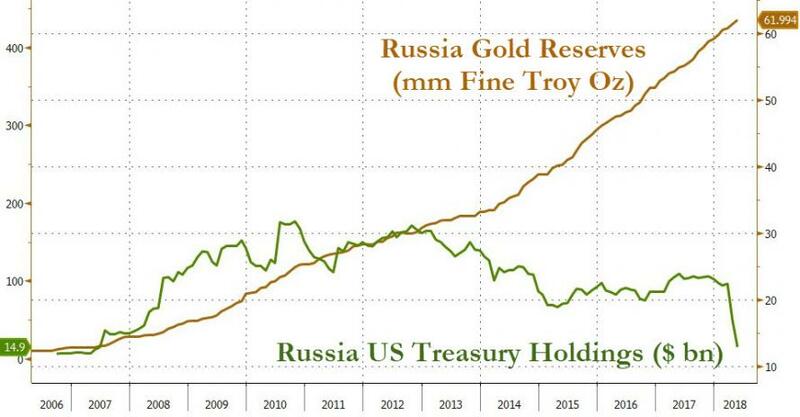 When would Russia's next capital reallocation take place? According to the Russian economist, the purchases could start as soon as next month. Cryptocurrencies have seen a surge of interest in Russia, where President Putin has expressed an interest in the digital assets in recent months. Ginko believes Bitcoin and the wider cryptocurrency industry now account for 8% of Russia’s GDP, and investment to bolster the country’s reserves with Bitcoin could start as soon as February. 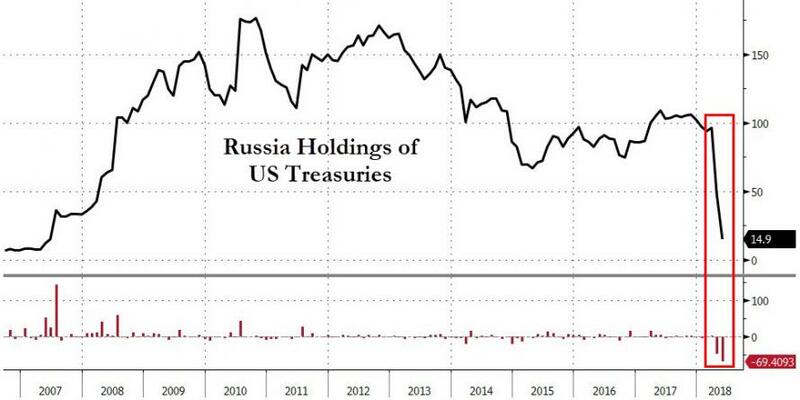 While the Central Bank of Russia has yet to confirm or deny the report and has yet to publish official plans, it said in a statement to The Daily Telegraph that it "publishes information on the foreign assets management with a six-month lag". 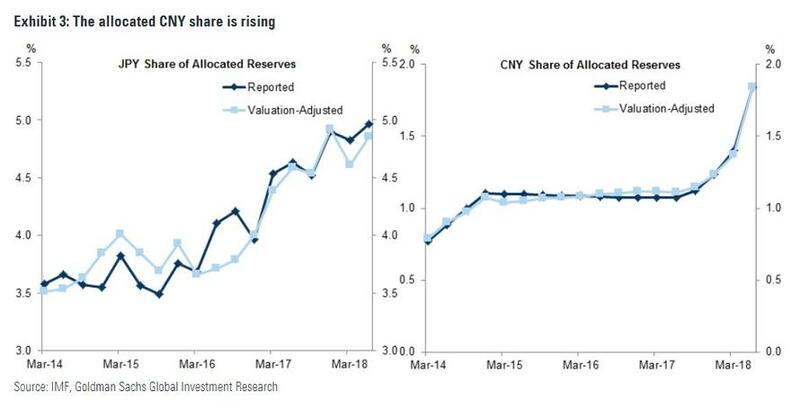 As noted above, an asset reallocation would be expected by a country which has been aggressively de-dollarizing by boosting its holdings of the euro, Chinese renminbi and Japanese yen. What is most surprising is the sheer size of Russia's proposed reallocation: the alleged plan to invest in the digital asset would see the state acquire almost a sixth of the world’s Bitcoin float, though since the buy order would push the price and valuation sharply higher, that would reduce Russia's purchasing power. 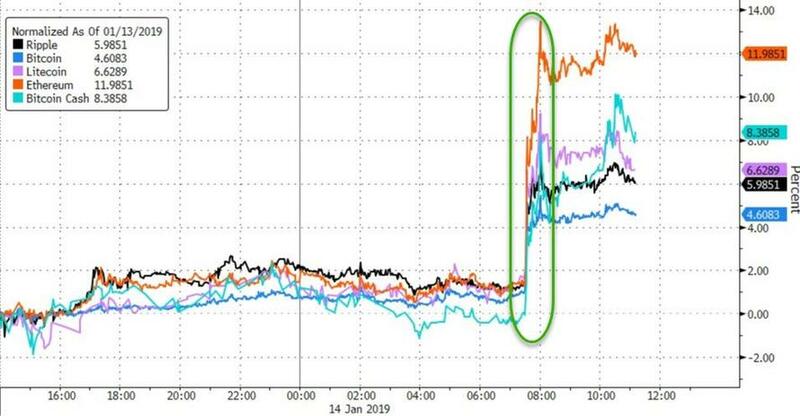 If Putin indeed plans on buying up nearly 20% of the outstanding bitcoin float, not only will reports of bitcoin's imminent death prove to be greatly exaggerated, but should the market attempt to frontrun Russia and/or should the total float shrink dramatically, the third, and biggest cryptobubble yet is about to be unleashed, something which will likely be facilitated by Chinese capital outflows which as we reported earlier, appear to have returned, just as they did shortly before bitcoin exploded from $200 to $20,000. This entry was posted on Monday, January 14th, 2019 at 2:28 pm and is filed under Crypto Corner - Bitcoin, ETC, Immediately available to public. You can leave a response, or trackback from your own site.